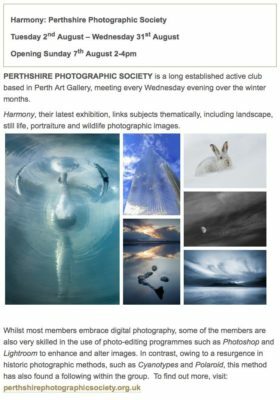 The PPS Summer exhibition is on NOW at the Birnam Institute. The exhibition was opened on Sunday by our guest exhibitor Dave Hunt of Wildgrass studios in Killin. There are around 40 beautifully displayed prints by more than 15 of our members. The exhibition runs until the end of August. Don’t miss it! !